I removed the four little apples to allow for the fifth to grow bigger. Photo 5th August. More on the subject in our 28 June 2016 post “Thinning apples and pears“. 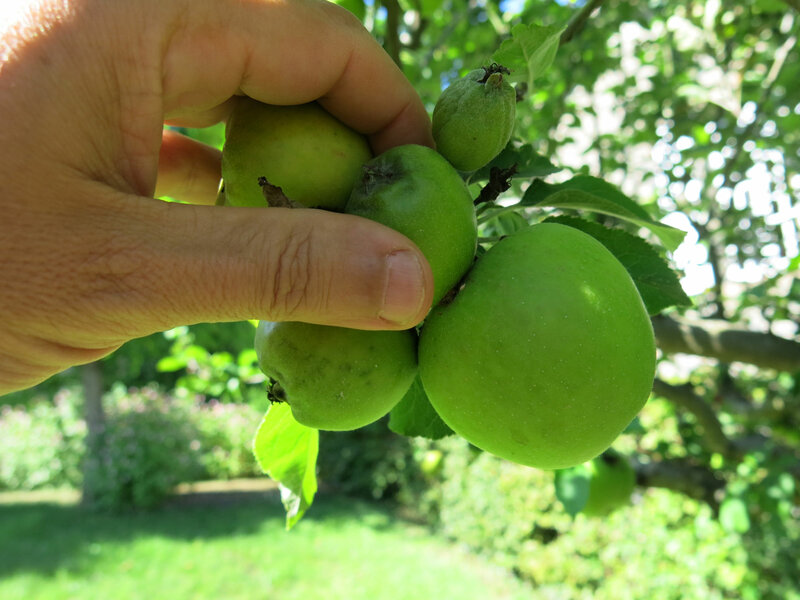 This entry was posted in Grow and tagged Apples, France, Saint-Simon by Les Jardins d'ici. Bookmark the permalink.